This lesson plan is part of our partnership with two super creative educators from The Curriculum Corner, bringing you free Common Core aligned lesson ideas, teacher resources, and templates you can easily print with your VariQuest Perfecta 2400 or VariQuest Poster Maker - just be sure you have the latest VariQuest Software v4.0! 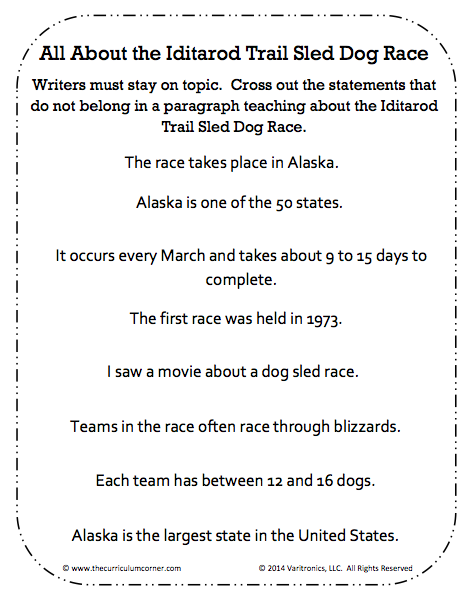 Make the Staying On Topic (Iditarod) interactive anchor chart into a poster. A blank Staying on Topic interactive anchor chart has also been provided in case the teacher wishes the topic to be one that the class is currently studying. 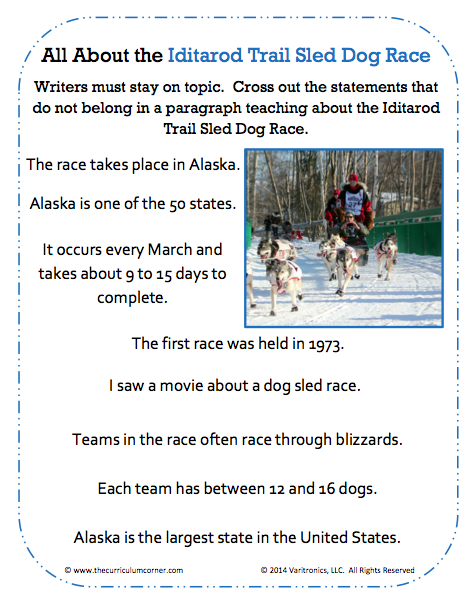 If the teacher chooses a topic other than the Iditarod, then text will need to be written to fit that topic. The text should have a number of sentences that don’t stay on topic within the paragraph(s). 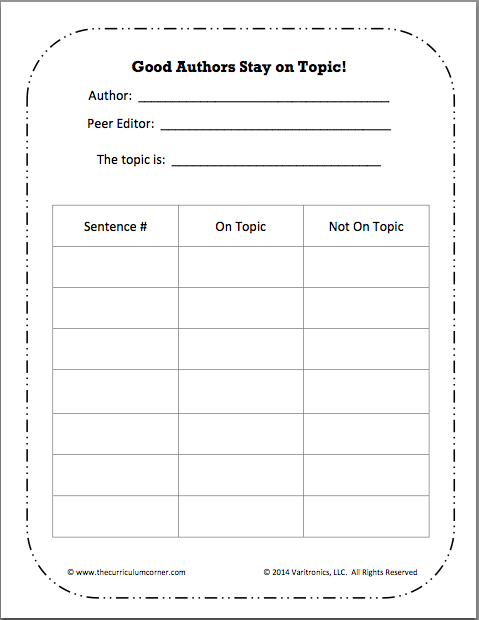 Copy the Peer Check: Focus on Topic page for each student in the classroom. Choose a piece of work from a student who struggled with staying on topic (and one who wouldn’t be embarrassed if the work was read aloud and discussed/corrected in class).  The alternative is for the teacher to write a piece of text ahead of time that strays from the topic in places to help illustrate the focus of the mini-lesson. Display the Staying on Topic interactive anchor chart for the students and read through the text together one time. Hold a class discussion about some things that could be improved in the piece. Guide them to the conclusion that not all sentences stay on the topic. Reread the text together and cross out the sentences that don’t fit the topic. Be sure to discuss WHY they do not fit in the text. Tell students that in their writing they need to be very careful to make sure all the sentences tell about the topic on which they have chosen to write. Sit in front of the class across from a student (the one whose written piece was chosen) to set up a conferencing type situation. As the student reads his/her piece aloud sentence by sentence, model how to fill out the Peer Check and discuss the procedures for this in the classroom. Did you like this lesson? Leave a comment and let us know what topics you would like us to cover in future posts and we will work on delivering free resources to help you prepare for your lessons!